Before retiring from the Arizona Historical Society, Jim Turner worked with more than 70 museums in every corner of the state. He is co-author of the 4th-grade textbook The Arizona Story, and his pictorial history book, Arizona: Celebration of the Grand Canyon State, was a 2012 Southwest Books of the Year selection. Jim moved to Tucson in 1951, earned a M.A. 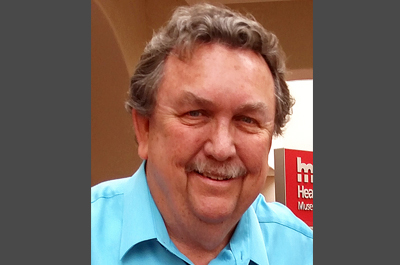 in U.S. history from the University of Arizona, and has been researching and teaching Arizona history for more than 40 years. Jim is now an author/editor for Rio Nuevo Publishers, author of The Mighty Colorado from the Glaciers of the Gulf (2016) and Crater Lake and Beyond (2017).